With the San Francisco Giants playing in the baseball's championship series, the two stations announced a temporary ban on the song because the Giant's rivals are the Kansas City Royals. 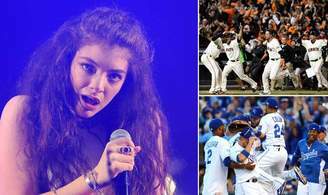 KFOG Radio wrote on its Facebook page: "No offense, Lorde, but for the duration of the World Series, KFOG Radio will be a 'Royals'-free zone. We're sure you understand."